A termites’s ability to chomp through wood quickly can large amounts of damage in small amounts of time. But while termites might not mean good news to you, they do mean good news to the environment and other cultures around the world. Termites feast of the cellulose in trees. This love for cellulose helps them quickly break down fallen trees and speed up the natural deterioration cycle. They’re a bit part of the process of clearing more room in forests for new growth. But the benefits of termites doesn’t stop there. Other cultures view termites as helpful creatures as well – using them as cures for illness as well as delectable treats. Termite queens in Singapore have come to be considered as delectable treats – they are served live, or dipped in alcohol, or preserved in rice wine. The fact that they can grow to be two inches long only makes them a larger treat! Macu Indians turn to termites when their crops and gardens fail to produce enough food for them to eat. Amazonian cultures burn termite nests in the belief that the smoke can help cure flu symptoms. They also boil termites to create a hot, sugar-sweetened soup to cure whooping cough. 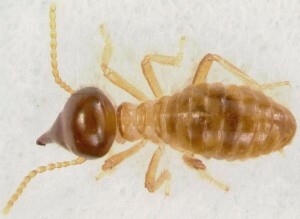 Termites Not as Popular in U.S.
Termites do not receive as much love here in the U.S. and that’s most likely due to the fact that they cause thousands of dollars in damage every year for every state in the U.S. except Alaska. It’s hard to remember that they are beneficial insects when you receive the bill for treating your termite infested house. That’s why it’s important to make sure that your home is protected from this unwanted neighbor. Never having to deal with these unwanted pests can ensure that they stay “beneficial” in your mind.